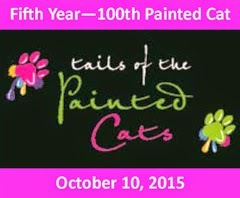 Tails of the Painted Cats is a biennial fundraiser. This event involves local artists donating their time and talent to create works of art from varying sizes of fiberglass cat forms. These cats are auctioned at a gala dinner held in the fall of each qualifying year. The next TOPC gala will be held September 14, 2019 at the Pinehurst Country Club. The deadline to submit designs for this event was September 1, 2018. The designs were juried and accepted based on originality as well as marketability. We are always seeking new artists to participate and all inquiries are welcome. Please note: design of the Tails of the Painted Cats is a trademark of the state of Colorado and all rights associated with this trademark extend until October 18, 2017.